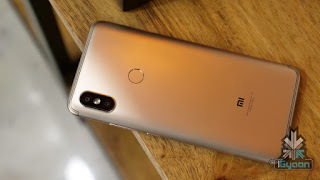 Redmi has recently introduced its new selfie smartphone Xiaomi Redmi Y2 in the Indian Market.It is one of the best budget selfie smartphone of Redmi.Talking about the specifications of Redmi Y2,it comes with 5.99-inch(15.2cm) HD+ display with the resolution of (1440*720)pixels at 269 ppi.Its aspect ratio is 18:9.For the security,it carries fingerprint scanner on the back of it.In addition to the fingerprint sensor,the Xiaomi Redmi Y2 comes with the latest Face Unlock technology.You can unlock your phone with the blink of your eye just by turning your face on the display of the phone. 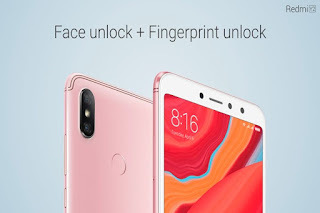 Xiaomi Redmi Y2 comes with Qualcomm Snapdragon 625 SoC (Octa-Core)processor and runs on Android 8.0 Oreo Operating System which helps for fast and smooth processing.The Xiaomi Redmi Y2 is available in two storage variants-3GB RAM coupled with 32 GB internal storage and 4GB RAM coupled with 64 GB onboard storage. The price of Xiaomi Redmi Y2 3GB+32GB variant is Rs.9,999 and 4GB+64GB variant Rs.12,999.The first sale of Xiaomi Redmi Y2 will start on 12th June,2018 onwards on MI.com,Amazon.in and Mi Home. Vivo X21 first in-built fingerprint sensor smartphone Detailed Review & Specs. 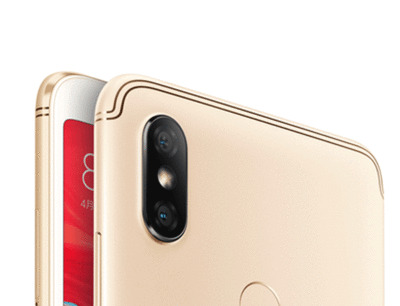 As far as cameras are concerned,Xiaomi Redmi Y2 comes with dual-rear camera (12-megapixel+5-megapixel)vertically placed with Precise Bokeh effect.For selfie,16-megapixel camera is placed for sharp selfie shooters which is powered by 'Artificial Intelligence'.Xiaomi Redmi Y2 has features like AI Beautify 4.0 for smooth and perfect captures. Xiaomi Redmi Y2 supports dual-Nano sim+dedicated MicroSD which can be expanded further up to 256 GB.For connectivity,it supports Bluetooth,WiFi,LTE,and a micro USB port. Xiaomi Redmi Y2 comes with 3080 mAh Li-polymer non-removable battery packed inside of it.Xiaomi Redmi Y2 also has sensors like Light,Proximity,Compass,Accelerometer,Fingerprint and Gyroscope. 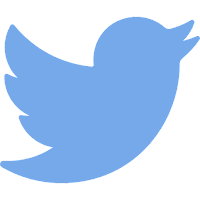 Awesome phone Y2.I have bought this phone and loving it..